Hi Friends We all know that Apple products are lovable, cool, stylish, modish and everyone wants to have those shiny beautiful products. But on the other hand they are expansive as well. According to reports, People in China are doing some crazy acts to get Apple products. Some weeks ago, we came to know that a Chinese Boy sold out his kidney for $3400 to get an iPad 2. 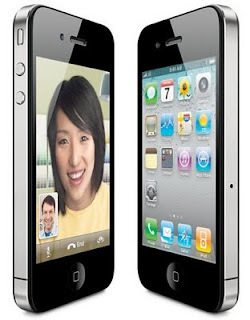 And today a shocking news has hit the web that a Chinese girl is offering her virginity for an iPhone 4. "Biznewschina reported that a female jiulinghou, referring to those born during the 90’s, tweeted on Weibo (Chinese version of Twitter) that it is her “dream to own a iPhone4 but her father won’t let her get one.” She then decided to sleep with someone in exchange for the mobile device. " The girl has posted a picture of her self along with other basic personal information saying she is willing to “sell” her virginity to anyone that buys her a iPhone 4.” Some people are cursing her for this act and some are thinking that someone is using here account and playing a prank. So what do you think? iPhone 4 or her virginity? Warning:- This post is entirely for information purpose,such kind of indecent proposals could come from any country. The only objective of the post is to show how much youth is crazy for Apple products, without any intention to hurt feelings of our Chinese readers! 0 Respones to "Chinese girl offered her virginity for a iPhone 4"